I am a solicitor in the Employment Team, based at our Brighton and Hove and Gatwick and Crawley offices. 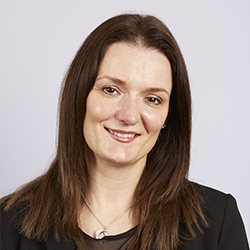 I have a wide range of experience which includes advising on Settlement Agreements, unfair dismissal, pregnancy and maternity discrimination and disability discrimination. Before joining Martin Searle Solicitors, I worked for a commercial law firm in Tunbridge Wells and more recently as an in-house legal adviser for a wholesale jewellery company. I was also a volunteer specialist. I represent directors, employees and employers. I pride myself on providing pragmatic advice to best achieve my clients’ desired outcome. Ensured that my client, whose living accommodation was tied to her job, was not evicted from her home and received a fair settlement on the termination of her employment. Assisted my client who was unfairly placed on a Personal Improvement Plan (PIP) so that the PIP was abandoned. My client ended up with a termination payment 3 times higher than the amount originally offered. Secured a waiver in respect of unfair and wide ranging post-termination restrictions contained within my client’s contract of employment and Settlement Agreement. Obtained a £20,000 bonus payment that the employer denied was payable on termination of my client’s employment. ‘Nicole at Martin Searle was so supportive. I felt that throughout what is an intrinsically isolating experience, someone had my back and was fighting my corner. I graduated from Central Sussex College with a Distinction in Business & Finance and from Brunel University with a Degree in Law. I later went on to complete the Legal Practice Course at the College of Law in Guildford. I qualified in August 2005 and I am a member of the Employment Lawyers Association. As well as providing advice on Employment Law issues, I have experience in dealing with a range of legal matters, to include contractual disputes, building disputes, debt actions, Landlord and Tenant disputes, boundary disputes and general litigation claims. In addition, I have worked at a senior level within our family business, managing staff and dealing with all contractual and legal obligations. I enjoy jogging, spin classes and horse riding. I also enjoy trips out to the theatre and regularly take my little girls out to see new shows. Family time is important to me as is socialising with my friends and so I strive to achieve a good work-life balance. Thank you, Nicole, for your advice as I go through the redundancy process. It was very helpful to have you on board, and your efforts and thoroughness are beyond amazing. Thanks again and best wishes for the future.